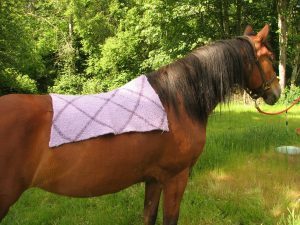 Handwoven saddle pad made with alpaca yarn. Created on a continuous strand peg loom. Contact us for availability.